I am staggered to learn from the Telegraph that almost 7,000 people witha criminal record applied for jobs in schools last year and even more staggered by the nature of the offences committed. It makes you wonder what used to happen in the days before CRB checks. Lucy has a rant about the cake. I agree - not even icing on mud pie. The claimed link between autism and vaccination has been dealt a terminal blow by the US courts writes Michael Fitzpatrick, GP in Community Care . An analysis of studies into the prevalence of child abuse and neglect, the recognition by professionals, and the role of prevention and treatment by Susannah Bower in Community Care . A colleague has just returned from Wells Street where a District Judge commented in passing that there are those in the Ministry of Justice who are suggesting that a recital to an order which deals with contact might in fact be deemed to be a declaratory order of some kind for the purpose of enforcement / contact activities etc and that it might be treated just as though it were a section 8 order. Has anyone else run into this point? Some resources on the contact activity provisions are to be found on the Cafcass website including the DCSF briefing, faqa and lists of approved contact activity providers. The Guardian reports on research showing that smoking is the second biggest worry for children of smokers after exams . A new addition to the threshold criteria, perhaps? The Mirror reports on a poll carried out by Gingerbread & Oxford University that suggests that either 1 in 3 parents lose contact with their children after separation (according to resident parents) or 15% (according to non-resident parents). 90% of separating parents did not go to court. A good time for Resolution's Parenting After Parting initiative. I do not yet have time to do an in-depth commentary on the recent public funding consultation & news but here are some links. Ministry of Justice Legal aid fees paid to family barristers are to be differently allocated to focus help to the most vulnerable families and children, and to combat rises in the family legal aid bill Legal Aid Minister Lord Bach and Legal Services Commission (LSC) Chief Executive Carolyn Regan announced today. Legal Services Commission on the interim changes due to come onstream in April. Consultation Paper on the new scheme for Family Advocacy closing date is 18th March 2009. The Bar Council Government plans to cut legal help for vulnerable families and children have been greeted with concern by family barristers. Pay Peanuts Get Monkeys is John Bolch's comment on the proposals. A parent is jailed for their child's truancy once a fortnight every school term in England and Wales, analysis of court statistics shows, the BBC reports . John Hemming MP highlights some new shaking baby research following . this story in the Mail also picked up in the Telegraph . The new research is said to cast doubt on the reliability of the conclusions of deliberate shaking in some cases where it is thought that birth trauma haemorrages may persist or re-bleed. I do not think the research is available online yet - it is due to appear in the Pediatric & Developmental Pathology Journal . A series of articles about child deaths, serious case reviews and criticisms of social services. Community Care and the Telegraph report on the case of Rhys Biggs involving Camden & Newham. The boyfriend of a mother of a 2 year old inflicted 107 injuries on her and was sentenced to 23 years. The child was not known to Kirklees SSD . Community Care reports Ofsted's denial that the resignation of the Director of Children's Services has got anything to do with the Haringey inspection . The Mirror reports on a case in which Hedley J has upheld a care order where a father was deemed to be a risk as a result of an injury to a child of his several years ago and about which at the time there was no judicial determination. The implication of the article is that Hedley J heard evidence from Neil Stoodley versus Wayney Squier and preferred Stoodley. A concern is that the original brain scans have been lost. The Mail on Sunday has an in-depth piece about the number of child deaths each year, SCRS, whether they should be published in full and research carried out by John Hemming MP . The Times reports a rash of cases of once wealthy husbands applying to vary downwards the maintenance payable to ex-wives, on the basis of the economic downturn and in particular the reduction in big city bonuses. Judgments are expected from the Court of Appeal shortly. I was pleased to have my attention drawn to the website of Lawson-West , a firm based in Market Harborough, Leicestershire. The Family team at the firm have obviously worked very hard on their part of the site and from the testimonials it seems as if they work equally hard and empathetically for their clients. There are sections dealing with many aspects of divorce and separation including pensions, contact for grandparents, cohabitation etc. I was most impressed by the way they have managed to capture the flavour of what happens in a case and express it in plain English without using many words. It is refreshing also to see some public references to how much the whole process is going to cost the client and some emphasis on ways to avoid inflaming a difficult situation. There is a good FAQ section which I think really covers questions we lawyers might from time to time forget that clients don't know the answer to. Obviously this site is aimed at the prospective client facing a divorce or private law dispute but I shall be very happy to quote from and link from it on my Bloody Relations blog and as a marketing model it is hard to fault. The firm's blog, Family Law at Lawson West LLP is of more direct interest to lawyers as it contains short, readable summaries of private law & money cases as well as commentaries on relevant news items and I signed up for an RSS feed subscription straight away. Conscious as my last post has made me of the potential impact of speaking in public, I am still pleased to let you know that I have just had the pleasure of being interviewed by John Bolch of the Family Lore Blog and Family Lore Focus for one of his growing libary of podcasts. Podcast with Jacqui Gilliatt . You might also notice that he recently interviewed Lucy Reed in a podcast too. By a strange coincidence CharonQC has also done a podcast with my pupil Ella Shaw on Insite Law. Well not so strange actually as we met up for a legal bloggers united conference last week and hatched various plots to take over the internet. 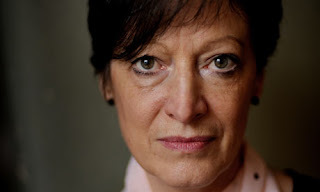 Extensive coverage in the Guardian of an interview with Sharon Shoesmith in which she criticises Ed Balls' 'reckless' reaction to the baby p situation. You can listen to parts of the interview online. This is the first in a series of blogposts about family solicitor websites. This is a firm which is using the internet to the max in attracting clients and providing a service. There are good introductory articles about aspects of family law, a jargon buster, a built-in blog and links to resources to support clients to deal with the emotions around family disputes. Woolley & Co has a main office in Bedfordshire but has solicitors all round the country: a thoroughly modern practice. If you are a family law solicitor or barrister and would like to suggest a site to be reviewed please email me at jacqui.gilliatt@4bc.co.uk. I am only interested in reviewing sites with added value ie articles and information for clients rather than purely brochure style website. The Tory party are threatening to publish the full text of a serious case review according to the Guardian . I must say I wondered how long it would be before there was an attack on Ed Balls who has so far been fairly unscathed by the post baby B media focus. The Times reports that Madonna and Guy have reached an agreement which will allow her to take the children back to an American Life . 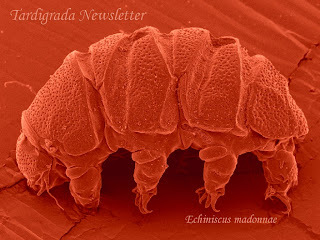 And lest you wonder what the picture on the left has to do with Madonna it is a picture of a species of water bear (a microscopic, water-dwelling segmented animal with 8 legs) which was named after Madonna in 2006. Surely her greatest accolade to date. If you want to know more about the new Family Law Week blogger, Lucy Reed, you could do worse than to listen to her in John Bolch's 2nd podcast interview !